Forgiveness may be the most important human quality of all. But, I don’t mean forgiveness in the Christian sense. That has always seemed to me to be forgiveness as a kind of condescension, that it posits a forgiveness from a point of moral superiority: I am better than you; therefore, I forgive you. The forgiveness I am talking about has its origins somewhere different. Perhaps it is in a kind of Buddhist point of view, that all life is suffering. We all suffer. It is the foundation of life. Even when we live privileged Western lives of economic comfort, filled with closets of clothes, TVs and WiFi computer hookups, we all face the pain of losing someone we love, heartache in love, betrayals at work. Whether it is the death of a pet at an early age, or the death of a child, we all, as human beings, face emotional pain. But what else is universally human is that we cause suffering. We are on both the receiving and the giving end of suffering. We may not have wished to cause pain, but we have. We have caused the heartache of others, just as others have caused the heartache we have suffered. So, when we face the evils that others have caused us, we should approach that problem with humility: We forgive not because we are better, but because we aren’t. It is only fair to recognize that the evils done to us are simply the result of our being human. That doesn’t mean we have to put up with the sufferings: We can forgive the husband who beats us, but we also separate ourselves from the cause of suffering. Forgiveness does not mean being an idiot. It just means that the wife beater does what he does from the pain and ignorance of his own humanity. Something has caused him to be this way; we probably don’t know what, but we can be sure it is something. We forgive, but we make sure we never put ourselves — and especially our children — in a position to be beaten again. The mirror of this is the ability to forgive ourselves. We can recognize the evils we have caused, the pain we have meted out and we can forgive ourselves, because we also know we are not immune from being human. That doesn’t mean we excuse our vileness; it means we rectify it to the best of our ability. We try always to be a better human being. But we cannot spend our lives in reliving the hurt we have caused. We are no better than the wife beater; we have caused suffering in this world, too, and the worst thing is, it cannot be avoided. There is a trap, however, in recognizing our own culpability. The worst thing you can do when recognizing the pain that you have caused in the world, is to wallow in it, like Lord Byron, wearing the mark of Cain and reveling in your own sense of your own evilness. This is a sentimentality. 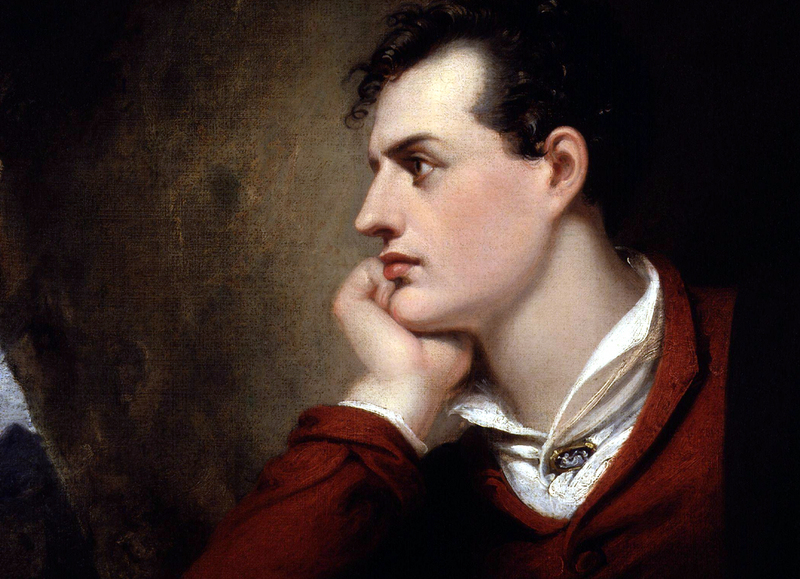 The Byronic mode is essentially a way of claiming to be special in the world: It is a magnification of your internal mythology, that idealized sense of yourself. We all live two lives. That is we have at least two different selves. The first is the public self, the self that lives among the now 7 billion others on the planet and interacts with them. That self is objectively infinitesimal in the scheme of things, but strives to live and work in that small section of humanity where you have daily interaction. The second self is internal. It is the self that is the protagonist in the novel of your own life. You are writing this novel every day, and some chapters are more dramatic than others, but you find yourself mythologizing your self as the hero, or anti-hero. This self has an importance all out of proportion to its numerical importance in the world. When this internal self takes on the Byronic mantle, it is asserting its uniqueness, and its importance in the world, that others should take note, also, of just how evil one is, just how powerful one is, and how much pain and suffering one has caused. The Byronic self needs to acquaint itself with the public self: The other 7 billion people have hardly noticed you; your evilness is really just your common humanity, attached to a self-regarding sense of guilt. One has to learn to forgive oneself, because not to do so is to brag. We are not better than anyone else, we are not worse: We are human and to be human is to cause and suffer pain, and the only sanity to be had is to forgive others, forgive ourselves, and move on.